WE SEEK TO ENSURE THE FULL PROTECTION OF THE NATURA 2000 NETWORK, THE MOST VALUABLE NATURAL AREAS IN THE EU. THUS, WE WILL PRESERVE THE ANCIENT WOODS, WETLANDS, GRASSLANDS, OTHER HABITATS AND THEIR NATURALNESS, WHICH HAS SURROUNDED LITHUANIAN PEOPLE FROM ANCIENT TIMES. 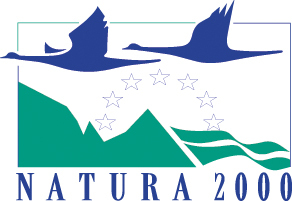 Set SMART (specific, measurable, attainable, realistic, timely) conservation objectives for Natura 2000 network at national and local levels, in line with defined favourable reference values of natural habitats and species of Community interest. Improve efficiency of management, surveillance and analysis processes towards achieving and maintaining favourable conservation status of species and habitats of Community interest. Ensure integration and implementation of the nature conservation measures into other sectors, especially agriculture, forestry and tourism. Build capacity of the institutions responsible for the implementation of the Prioritised Action Framework (PAF).